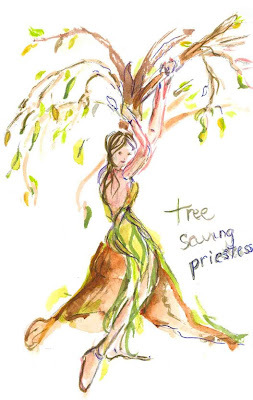 On earth day tree hugging goddesses get the respect and recognition they so deserve. On earth day we honor our earth, and mother nature, and all those who are her stewards. Say thank you today, to the trees, the soil, the plants, the animals, our sun and the very air we breathe. And say thank you to the environmentalists and all who stand watch over our planet. Today, commit to protect and appreciate our very special world. Well said!! And I love your image of the tree-hugging goddess! Living beautifully also includes living responsibly, and there's more beauty in that. and thanks also to the clean water which replenishes us and all the creatures who live within it. I agree! I've planted a garden and picked up trash at our local park in honor of Earth Day. The beautiful Earth is a gift to the sons of man. It was created never to totter, this is a promise from the creator. Man should always be a grateful stuart of this incomparable gift.